Maghraby, A., "Ionizing Radiation Induced Radicals", InTech Publishers, A chapter in the book: Current Topics In Ionizing Radiation Research, ISBN 978-953-51-0196-3. Maghraby, A., Salama, E., Mansour, A., 2011. “EPR/Homotaurine: A possible Dosimetry System for High Doses”. Nuclear Instruments and Methods (NIM– A), 659, 504 - 507. Abd El-Hafez A. I. and Maghraby, A., 2011. “Impacts of Pre-Irradiation Background Reading On Thermoluminescence Dosimeter Glow Curve” Applied Radiation and Isotopes, 69, 1533-1539. El-Faramawy, N., Ameen, R., El-Haddad, K., Maghraby, A., El-Zainy, M. 2011. “Study of the effect of gamma radiation on hard dental tissues of albino rat: using scanning electron microscope-Part I”. Radiation Effects and Deffects in Solids, 166 (2), 927 -934. A.I. Abd El-Hafez, Maghraby, A., N. A El-Faramawy, 2011. “In Defense Of Thermoluminescence Dosimeter Zero Dose Readouts”. Journal of American Science, 2011;7(3). Maghraby, A., 2011. “Uncertainty Attributed To Signal Averaging In a Single Averaged Alanine EPR Spectrum for Low-Dose Applications”. Radiation Protection Dosimetry, Vol. 143, No. 1, pp. 12–16. Maghraby, A., Salama, E., 2010. “Use of Aspartame Based Sweetener Tablets in Emergency Dosimetry Using EPR”. Radiation Protection Dosimetry, 139 (4), 505-509. Maha, A., Maghraby, A., 2008. "Radiation-induced radicals in chitosan" Isotope and radiation research, 40 (4), 793-802. Maghraby, A., Mansy, M., 2007. "Calculation of the Back Diffusion Effect in Ionization Chambers", " isotope and radiation research, 39 (4-Suppl.2), 1207-1216. Amany, Shahein. Hala A. Soliman, and Maghraby, A. 2007. "Algorithm Verification for A TLD Personal Dosimetry System" isotope and radiation research, 40 (1), 103-113. Maghraby, A., 2007. "A sensetive EPR dosimetry system based on sulfamic acid" Nuclear Instruments and Methods (NIM– B), 262, 46-50. Maghraby, A., Maha, A., 2007. "Spectroscopic Investigation Of Gamma Irradiated Bovine Hemoglobin" Radiation Physics and Chemsitry, 76, 1600-1605. Maghraby, A., 2006 "A numerical evaluation of the Boag's collection efficiency formula for some common ion chambers" , isotope and radiation research, 38 (2), 319-333. Maghraby, A., Tarek, E., 2005 "A new EPR dosimeter based on Sulfanilic Acid" Radiation Measurements, V.41, 2, 170-176. Rabie, N., Shabini, A., Maghraby, A., and Eissa, H. 1999. “Determination of Calibration Factor of NIS Ion chamber In Terms of Air Kerma and Absorbed dose To Water”, Egyptian Journal of Biophysics, Vol.5 , No.1, 233-246. Maghraby, A., Mansour, A., Tarek, E., 2012. “Taurine for EPR Dosimetry”. Radiation and Environmental Biophysics. 51 (3), 255 – 261. Ahmed M. Maghraby, Alzimami1 K. S., Alkhorayef M. A., Alsafi K. G., Ma A, Alfuraih A. A., Alghamdi A. A. , Spyrou N.M. 2012. “Investigation of LaBr3:Ce Probe for Gamma-ray Spectroscopy and Dosimetry”. Radiation Physics and Chemistry, (95), 137–140. 2014. K.S. Alzimami, Ahmed M. Maghraby, D.A. Bradley. “Comparative study of some new EPR dosimeters”. Radiation Physics and Chemistry, (95), 109–112. 2014. Ahmed M. Maghraby, A. Mansour, A. A. Abdel-Fattah. “Taurine-EVA polymer-Paraffin Rods Dosimeters for EPR High-dose Radiation Dosimetry” Nukleonika, Vol. 59 (1- 9) ,2014. Ahmed M. Maghraby, Applying The Conventional Moving Average Filter For Estimation Of Low Radiation Doses Using EPR Spectroscopy: Benefits And Drawbacks. Ionizing Radiation Metrology Laboratory, National Institute for Standards (NIS), Giza, Egypt. Nuclear Instruments and Methods in Physics Research A, 737 (1), 72-75. 2014. Ahmed M. Maghraby, K. Alzimami, M. Abo-Elmagd. “Estimation of the residential radon levels and the population annual effective dose in dwellings of Al-kharj, Saudi Arabia”. Volume 7, Issue 4, October 2014, Pages 577–582. 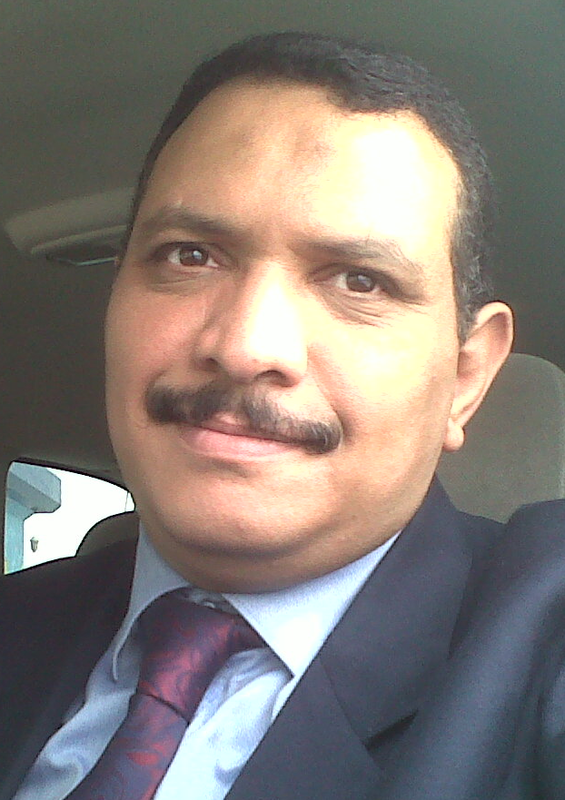 K. Alzimami, Ahmed M. Maghraby, M. Abo-Elmagd. “Radon levels and the expected population mortality in dwellings of Al-Kharj, Saudi Arabia”. Volume 7, Issue 4, October 2014, Pages 572–576. Ahmed M. Maghraby, .Alzimami, K. “EPR study of radiation-induced radicals in GABA: A possible tissue equivalent dosimeter for medical applications” Isotope and radiation research, Volume 46 ,2, 269. Ahmed M. Maghraby, .Alzimami, K. “Aniline-2-sulfonic acid as a new EPR dosimetric system for medical applications: A tissue equivalency study” Isotope and radiation research, Volume 46 ,2, 261.